There are two Jerusalems: the celestial yerushalayim shel mala and the earthly yerushalayim shel mata. These three books help us understand why it has been difficult to bring these two cities into closer touch with each other. For centuries, the place called Jerusalem was razed, pillaged and ruined: The Book of Lamentations begins with the dirge, ‘Oh, how doth the city sit solitary, she that was full of people,’ and over the course of the two-and-a-half millennia there was no lack of occasion for reading the text as if it were a description of the day’s events. Jerusalem was conquered and conquered again, and was often ravaged in the process. These repeated conquests took their toll: In 1260, the population of Jerusalem, even then the most famous place/idea in the world, was fewer than 2,000. By the beginning of the 19th century, the population had climbed to about 10,000, most living in squalor. Jerusalem the place was, in sad fact, a slum. But for millennia there were actually two Jerusalems, not one. There was yerushalayim shel mala, the celestial Jerusalem, an ideal city surrounded by a divine halo whose streets were lined with gold. And then there was yerushalayim shel mata, the earthly Jerusalem. In his epic novel Just Yesterday, the Nobel Laureate S.Y. Agnon described it as a place where the sun burns like fire, the garbage stinks and sadness envelopes the city. For a long while, the challenge of Jerusalem was how to bring these two visions into closer touch with each other. A law instituted by the British during the period of their mandate for Palestine was an effort to wed the ideal city with the concrete urban space: All new construction had to be fashioned of Jerusalem stone, the familiar stone of the hillsides. As a result, Jerusalem the place came to look as if it had grown organically out of the hills rather than having been built by sweating labourers. Montefiore brings a historian’s curiosity and a gift for storytelling to the impossible task of telling a 3,000 year history. He privileges clear plots and interesting characters over historical argument, a choice the general reader will appreciate. It’s only when you pay attention to the copious and eclectic footnotes that you realise how much more complex the story really is. 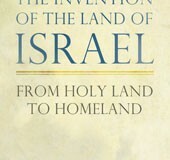 And when the Crusades eliminated much of the population of the city, you could always dash across the Jordan, like Baldwin the crusader king in 1115, and bring back ‘poverty-stricken Syrian and Armenian Christians, whom he invited to settle in Jerusalem, ancestors of today’s Palestinian Christians.’ Montefiore is well aware of Jerusalem’s dualities and is not put off by its apocalyptic air. Disasters, he knows, make great reads. 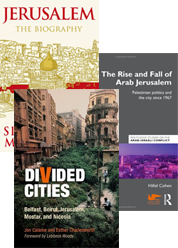 But simultaneously, this ‘urban biography’ – an allusion to the city as a living being that breathes, possesses agency and can be wounded and bleed – makes a laudable attempt to present a historical chronology through ‘the lives of men and women – soldiers and prophets, poets and kings, peasants and musicians – and the families who made Jerusalem.’ Yet what Walter Benjamin called ‘small histories’ rarely result in epic tales or engrossing reads. Montefiore’s book, as one critic rightly noted, is not an account of daily life or humble devotions. It’s a little like learning about the American West by watching a John Wayne movie: everyone is a gunslinger or a sheriff, with nameless extras diving under the bar when trouble starts. With much less fanfare, and little chance of making the New York Times Bestsellers List, Hillel Cohen’s The Rise and Fall of Arab Jerusalem truly lives up to the promise of an intimate history. 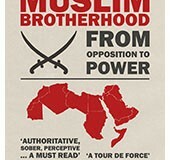 As the book title suggests, this is a history of a political failure foretold. The book provides a rare insight into the machinations of Arab-Palestinian politics in the city; the labyrinth of conflicting agendas, personalities and forces that have shaped Jerusalem from the early 20th century to the present. 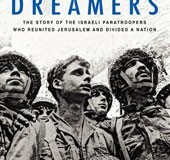 Though the Palestinian ‘aristocracy’ – the Nashashibis, Khalidis, Husseinis and Nusseibehs – is far from absent, Cohen’s book is exceptional for bringing to the fore those who would otherwise be condemned to historical oblivion. If you look at Israeli academia and research on the Palestinians, you find that, traditionally, the research examined different leaderships and documents; documents about Palestinian land or about PLO decisions. [But] I always wanted to see where the people were in this story. What I’ve tried to do is to combine things, both in my earlier books and in this book. To look at the overall political system but also to see how it affects people. Contrary to its balanced title, The Rise and Fall of Arab Jerusalem is mostly a story of decline, illuminating a political leadership plagued by passivity and internal conflict, torn by its impossible and perpetual ‘in-between-ness.’ Forced to share a single, predominantly Jewish city after the occupation of East Jerusalem in 1967, the Arab-Palestinian community in the city was entitled to Israeli identity cards, freedom to travel and work in Israel and the right to vote in municipal elections. Yet they have chosen not to become full citizens of the country like the Palestinians who resided inside Israel after the 1948 War. This unique status set Jerusalem Palestinian politics apart from the agendas that dominated the Occupied Palestinian Territories, the Palestinian diaspora or the priorities of the Palestinian political leadership in Israel. Stuck between the rock of the territories and the hard place of Israel, Palestinian Jerusalemites faced deep dilemmas that have hitherto prevented the emergence of a coherent political programme. The majority of Cohen’s book focuses on Jerusalem from the Oslo years to the present, a depressing chapter for anyone seeking a viable compromise in the city. Unlike the decades that preceded it, this has been a period characterised by a resurgent political agency, primarily through the involvement of Jerusalem Palestinians in the struggle against Israel’s occupation. Cohen recalls at length the methods of organisation of the various Palestinian factions and the creation of terror cells – particularly those of Hamas. 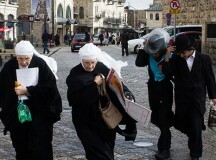 Interestingly, while Fatah took credit for many of the suicide bombings in Jerusalem, it seems none of them were carried out by members of Jerusalem Fatah: the movement’s local members in Jerusalem rightly understood that suicide bombing of buses and cafes would only harden Israel’s position and provide a disincentive for any territorial compromise. A scholar at the Hebrew University in Jerusalem, Cohen knows his subject matter up close. He left high school aged 15 and spent three years walking around the occupied territories, learning Arabic through unmediated encounters. In 1991, when the first intifada was winding down, Cohen began working as the correspondent in the territories for the weekly Jerusalem newspaper Kol Ha’ir. The training as a journalist is evident in his writing, which is factual, direct and uncluttered by the adjectives that often populate accounts of Palestinian realities under Israeli occupation. To be sure, Israel’s actions in the city – primarily the construction of large Jewish neighbourhoods in East Jerusalem, the post-2000 restriction of Palestinian political activity, and the construction of the separation barrier – receive ample attention. But Cohen refuses to replicate the narrative of passive victimisation. Though they are unable to match Israel’s military superiority, Palestinians still possess political agency and the ability to shape the realities of the city. One of the most intriguing developments that Cohen charts is the rise of the Islamic politics in Jerusalem, primarily under the auspices of the Israeli Islamic Movement. Making use of the Al Aqsa mosque’s sanctity for Muslims in Palestine and around the world, Islamic leaders have led a campaign to ‘save’ Al Aqsa from Israeli actions that they perceive to undermine the iconic Muslim site. Though demonstrations ‘in defence of Al Aqsa’ attracted only a few hundred people and were far from igniting serious instability, they signify the political vacuum in the city. The decline of centralised political forces like the PLO leaves the stage clear for other elements whose political agenda rejects any compromise.